Mr. Darwish will receive $350,000. Audio from Mr. Darwish at Swarthmore College in 2002 is available here on Lannan.org. Born in upper Galilee, Palestine, in 1942, he and his family fled to Lebanon in 1948 when the Israeli Army destroyed his village. After returning to the newly formed state of Israel, he began writing poetry that reflected a sense of uprootedness and exile that characterizes the Palestinian experience. Imprisoned several times for reading his poetry, Mr. Darwish eventually left Israel. A former member of the PLO’s Executive Council, he wrote the 1988 Palestinian Declaration of Independence. 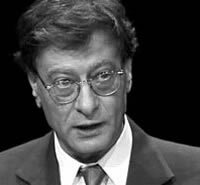 Mahmoud Darwish Bio and Cross Links here on Lannan.org.